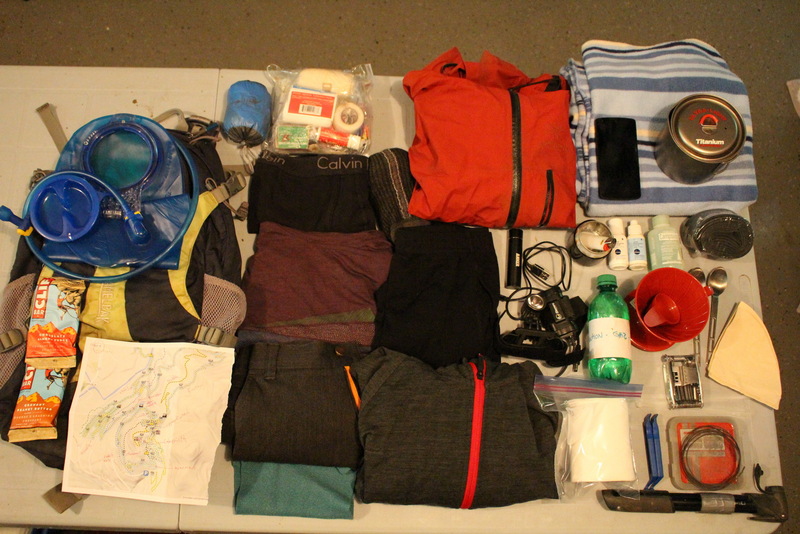 We are about to set out for our 6 days Great Green Mountain Singletrack traverse. 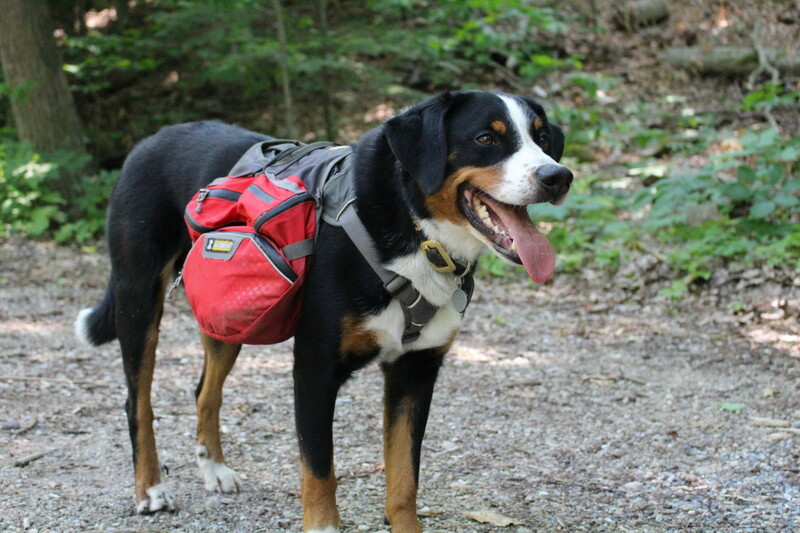 This is a quick post on our gear setup. Isabelle is going to use her faithful Pivot Mach 6 with a Revelate handlebar bag and seat bag. Since we don't have much gear this time the seat bag is less likely going to rub against her rear wheel because of the 150mm travel of the Mach 6. As for me I have the chance as a Rocky Mountain ambassador to try out a Rocky Mountain Sherpa for the week. 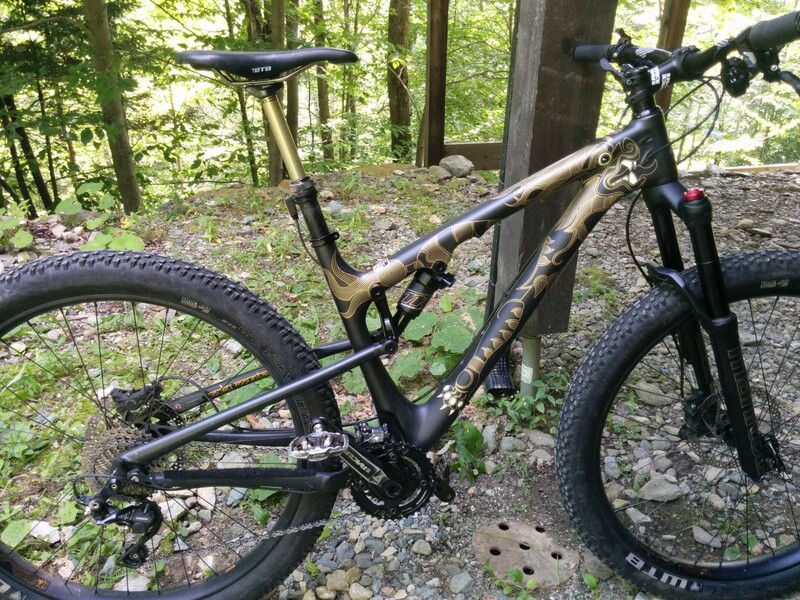 This is a purposely build 27.5+ bike made for bikepacking. I will also have Revelate handlebar bag and seat bag with all the tools and other heavy stuff in my frame bag. John is going to ride his Intense tracer and Ryan, riding for Giant, has a sweet trace with matching Giant bags. 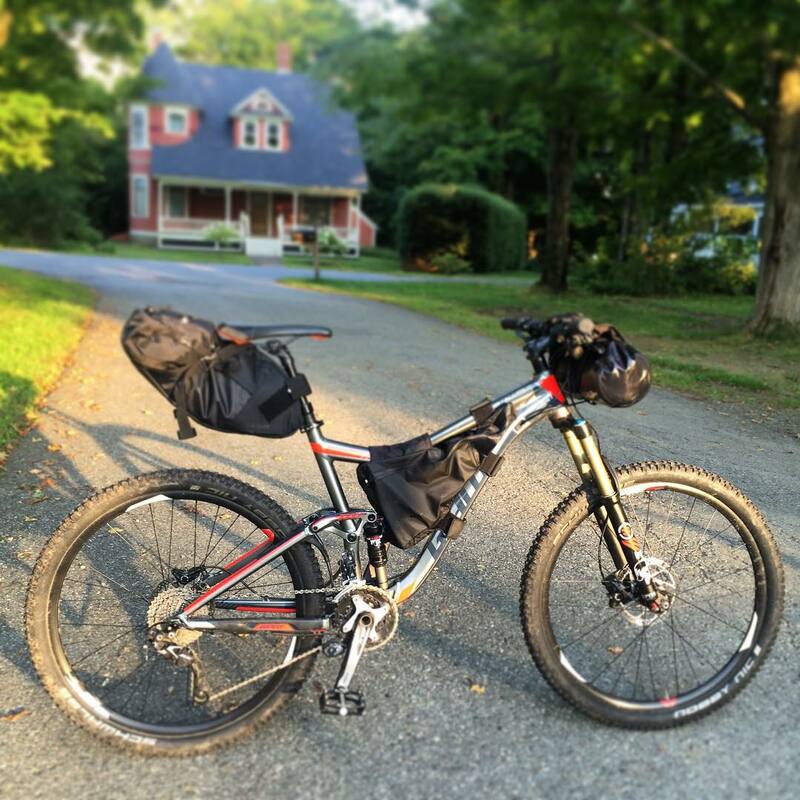 Since the overall goal of this trip is to connect all the best singletracks from Killington to Hyde park we are not going to do a purist bikepacking trip. For the first night we are going to sleep in the Pittsfield "Shrek" hut. The second night we are camping in Rochester but we have a car stashed there with our tent in it. After those 2 nights we have the chance of being welcomed in nice B&B in Waitsfield,Waterbury and Stowe. This planning along with the warm temperature permits us of packing really light. For the first 2 days we carry a sleeping mattress, stove and kitchen gear, breakfast food and only a blanket(no sleeping bag) to sleep in the hut. For the rest of the trip we are going to ditch the sleeping mattress, blanket and kitchen gear and live the lives of the rich and famous staying in nice B&B. 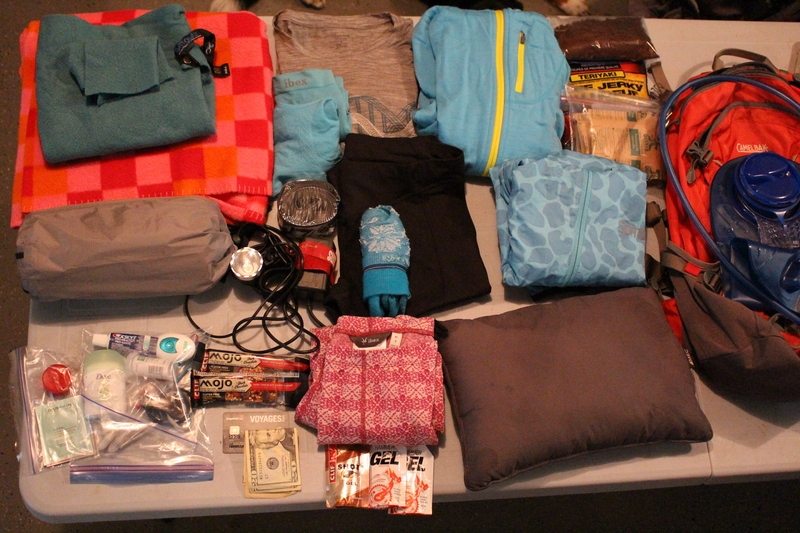 This is Isabelle's setup for a total weight of 10 lbs (without water). This is my gear for a total of 12 lbs. Mojo is going to carry his food, bowl and leach. Let's hit the track jack! All roads leads to Ausfahrt! Mon Vélo #4:: Chamelon SS Play, Jump bike 26"
euhh... c'est la première fois que j'entends qu'une blonde traîne plus léger que son chum! Beau post, Merci! Parce que c'est moi qui traine le séchoir au propane! Vas-tu bientôt nous parler du Sherpa? 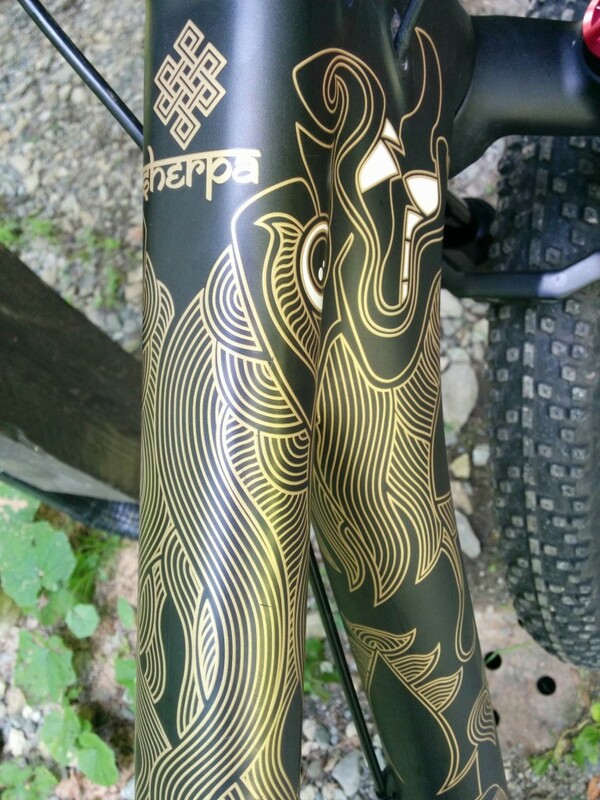 On va poster un récit par jour de ride et je vais faire un review du sherpa mais en deux mots. 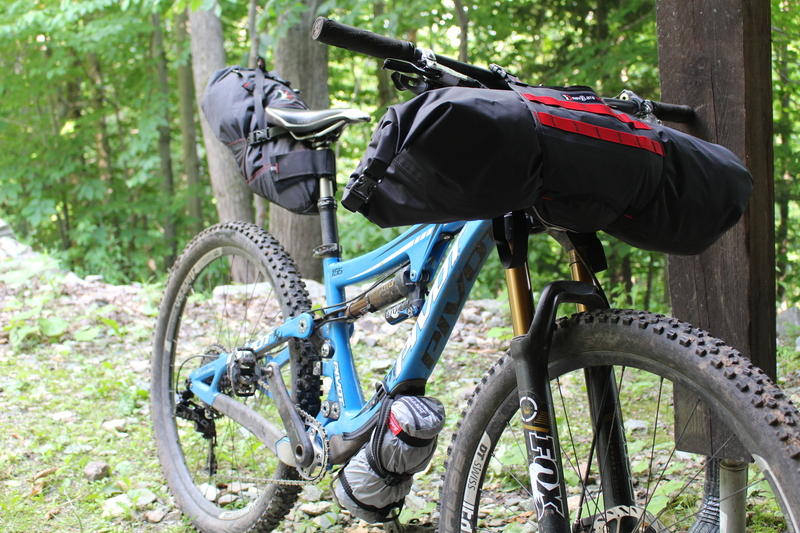 Parfait pour le bikepacking. Tout est penser pour les expéditions et ca parrait! Le fun en plus.